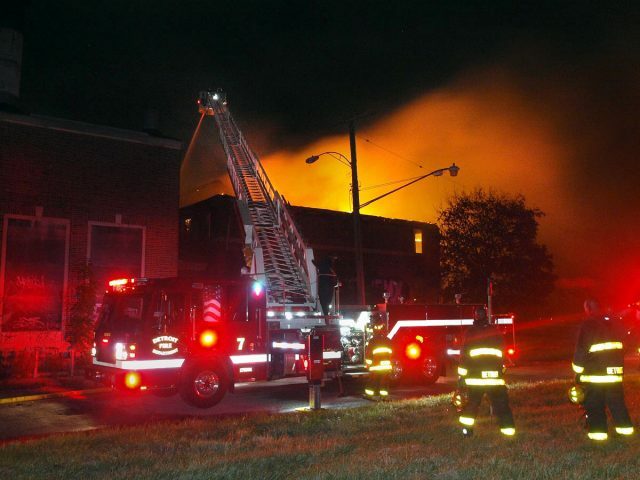 Fire recently destroyed Kronk Gym in Detroit. Photo: Detroit Fire Department. A Detroit boxing gym which has trained many successful fighters has been destroyed in a suspected arson attack. The Kronk Recreation Center, where Emanuel Steward trained fighters like Tommy Hearns – the first boxer to win world titles in five weight classes – became famous all over the world. Dozens of Detroit boxers trained there from the 1970s until the early part of this century. He added: “I got a chance to become somebody out of this building right here. The gym had been closed for some time. Built in 1921, it was called after John Kronk, a member of the City Council, but became famous when Steward took over boxing training. A total of 50 amateur boxing champions, 30 world champions and three Olympic gold medallists came from the gym, including Hilmer Kenty, Mickey Goodwin, Milt and Steve McCrory, Duane Thomas, Jimmy Paul and William Lee as well as Hearns. Many were trained by Steward, who died in 2012. Financial cuts made it harder to maintain the gym, which closed in 2006 after vandals had ripped out wiring and copper pipes, cutting off water service. While some of the boxing community had plans to maintain it through private funding, this never became a reality, but the training program was relocated to another part of the city. The roof caved in but the crew fought the blaze for over four hours. Fornell does not think there is any connection between the fire and a recent one at the auditorium at the disused Cooley High School building nearby. Hearns, also known as “The Hitman”, was named Fighter of the Year by The Ring magazine in 1980 and 1984 – the latter following his one-punch knockout of Roberto Durán. He was known as a devastating puncher throughout his career, even at cruiserweight, despite having climbed up five weight classes.